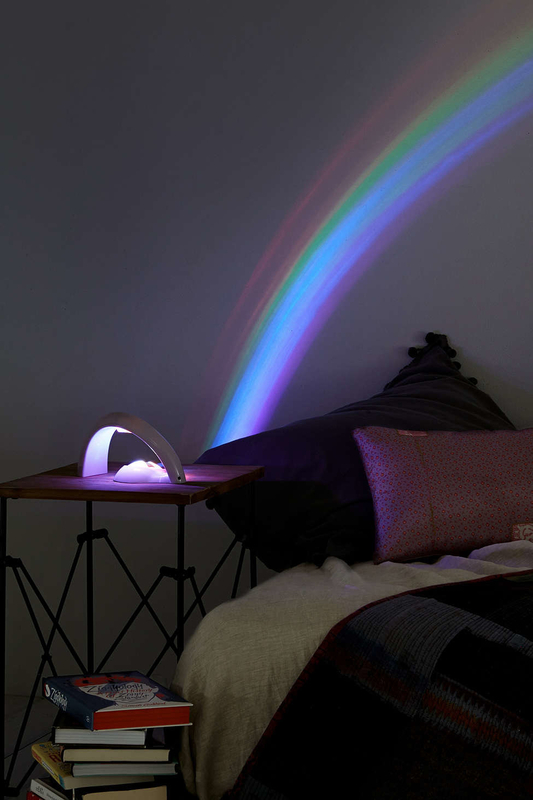 Head massagers, a rainbow light projector, metal Christmas trees, and 30 other amazing products for everyone on your list. 1. 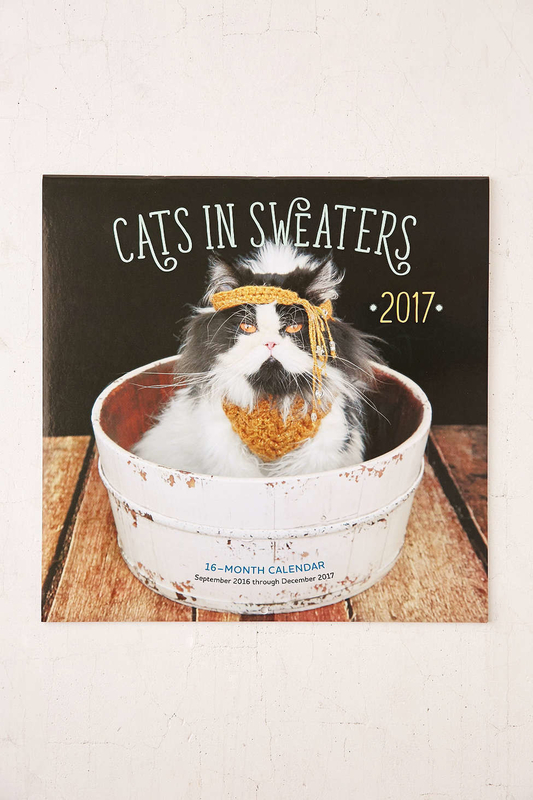 A 2017 calendar featuring adorable cats in attractive sweaters. 2. 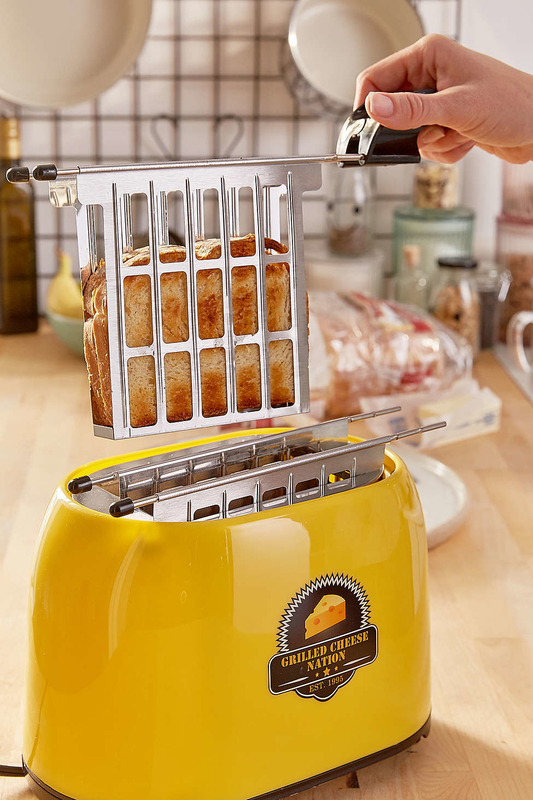 A grilled cheese toaster for the friend who eats grilled cheese sandwiches for breakfast, lunch, and dinner. Plus the occasional midnight snack. 3. A head massager that everyone has wanted at one point in their lives. This thing is actually amazing. 4. A beard kit for the man in your life who extends No Shave November well into the rest of the year. 5. A greeting card featuring Drake on a reindeer. 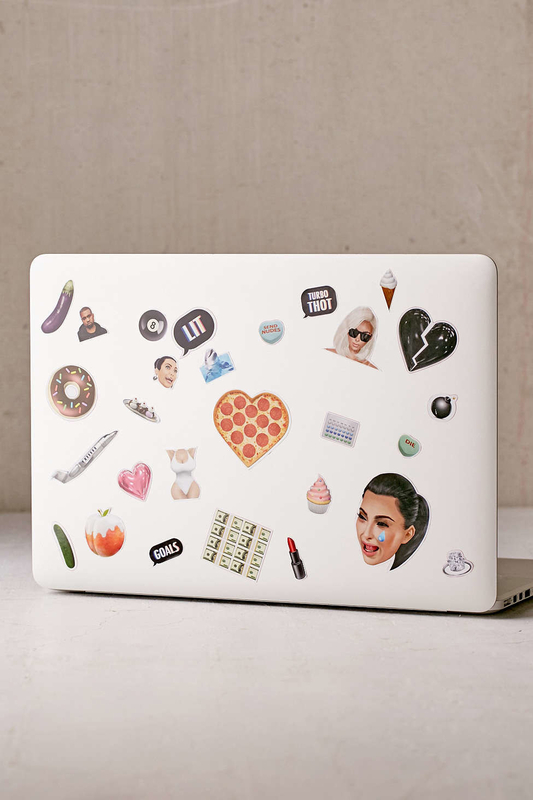 If you're reading this, it's not too late to buy this for me. Hehe. 6. A tabletop foosball game that will help you identify the overly-competitive person in your friend group. 7. A hanging mirror and jewelry organizer that doesn't take up precious shelf space. 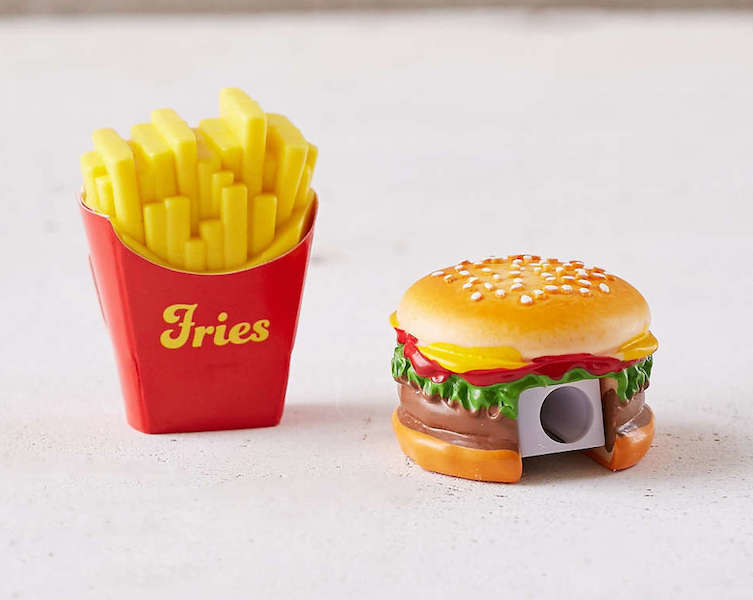 Perfect for those with tiny dorms, bedrooms, apartments, etc. 8. 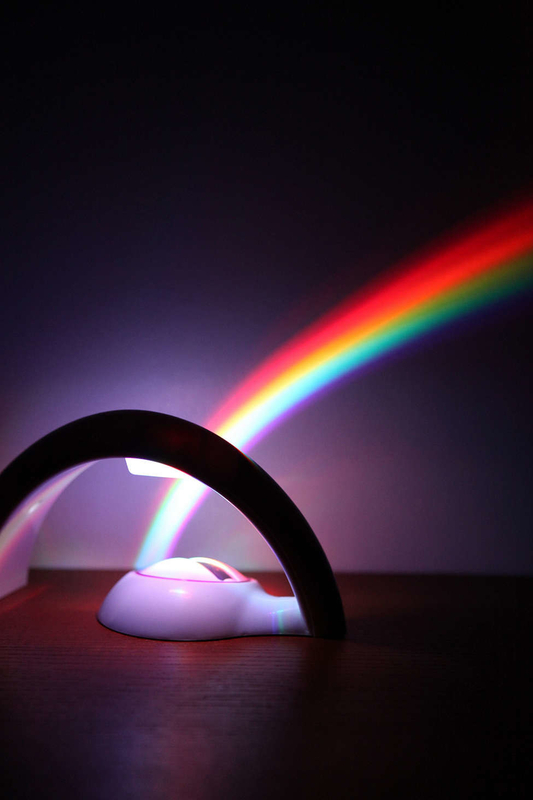 A rainbow light projector that doesn't require a torrential downpour to be seen. 9. An industrial table lamp that will brighten any room. 10. 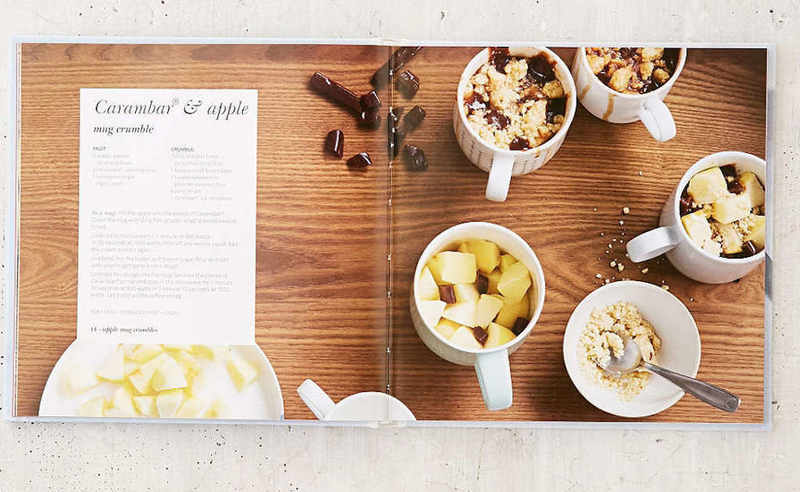 A cookbook that will let your BFF satisfy his/her sweet tooth in just 3 minutes. 11. 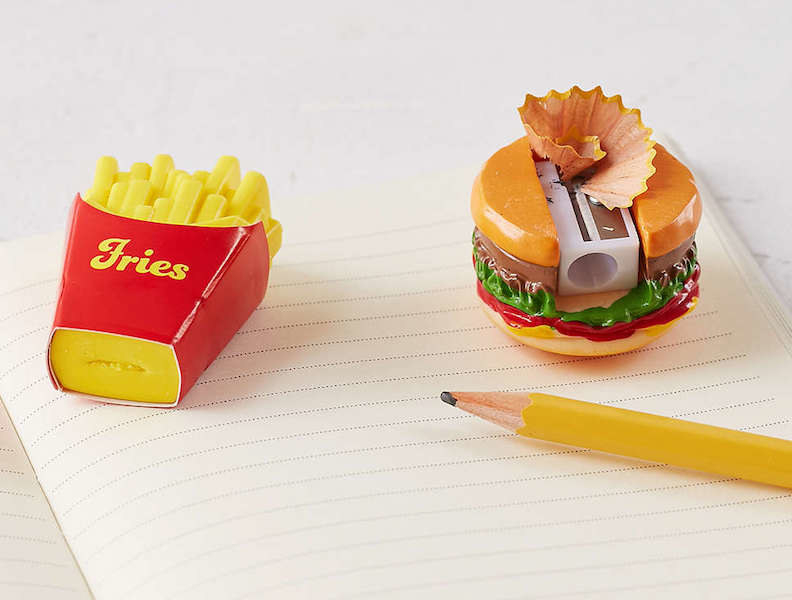 A fast food eraser and sharpener set for the people who still use pencils. 12. 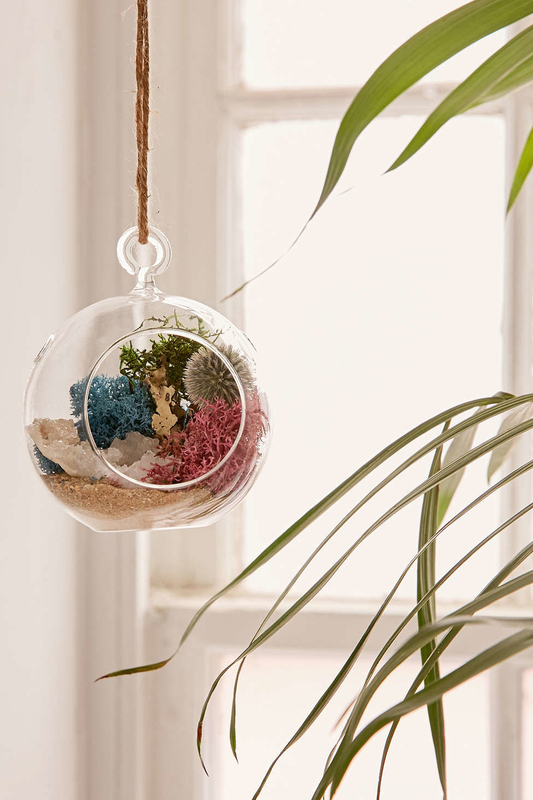 A DIY hanging terrarium that includes a glass vase, twine, geode, moss, and sand. 13. Socks for the "90s kid" who considered Nickelodeon cartoons to be a religion. 14. 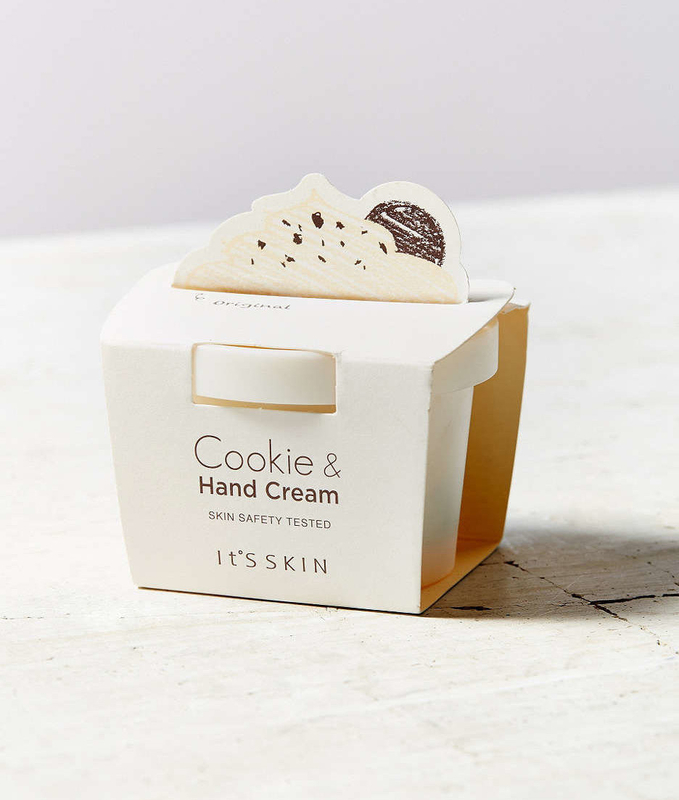 A hand cream that any fan of dessert will salivate over. 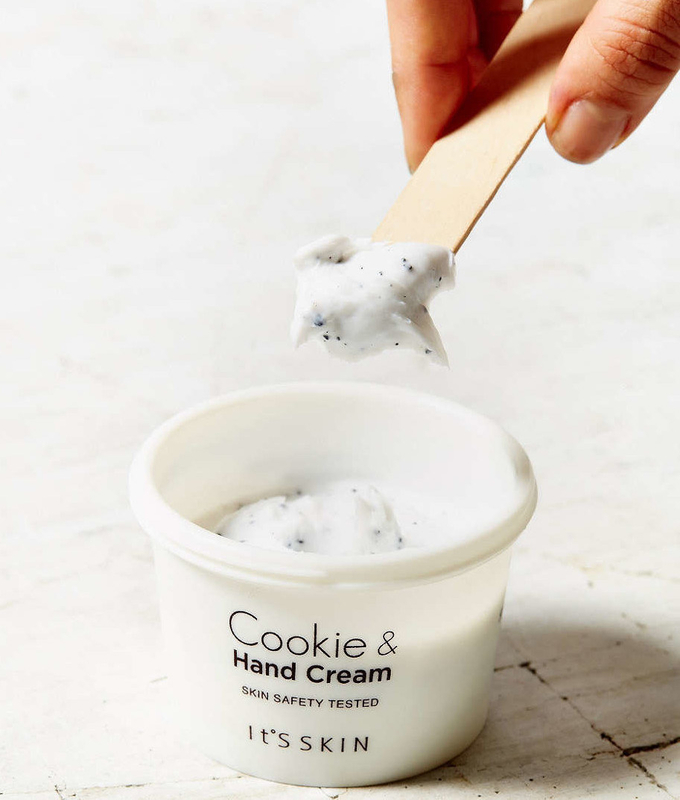 Disclaimer: Keep out of reach of adults who love cookies and cream. 15. 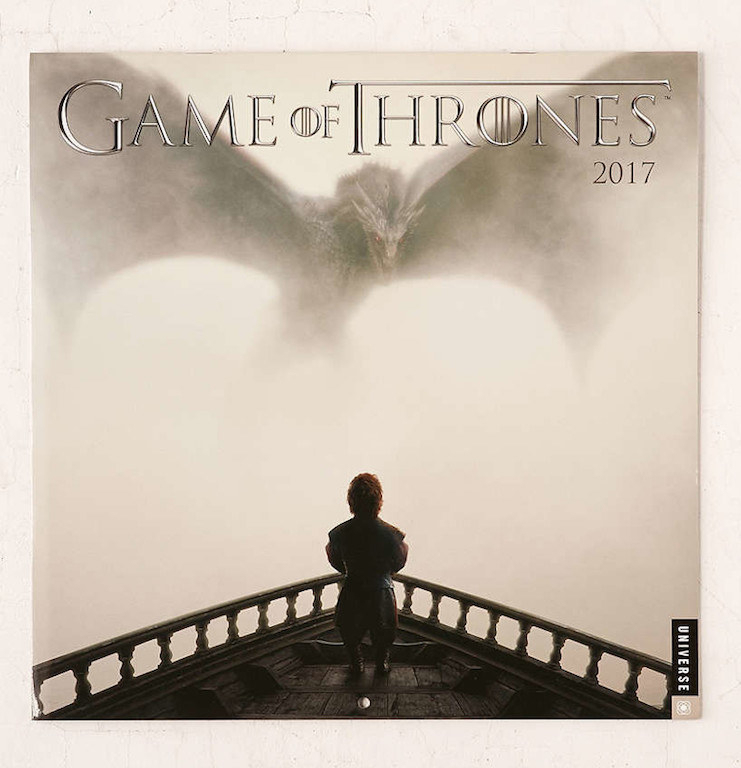 A 2017 calendar for the annoying friend who won't stop talking about GOT. AKA everyone. 16. 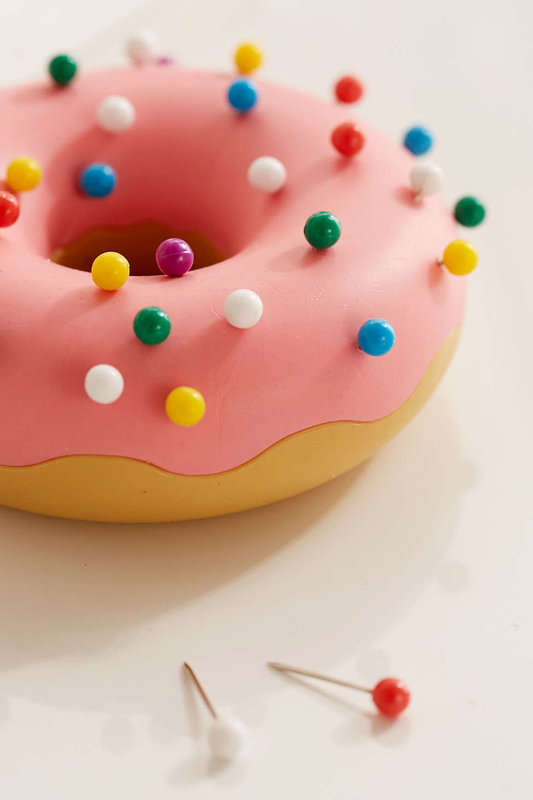 A unicorn pin that adds a touch of magic to anything. 17. 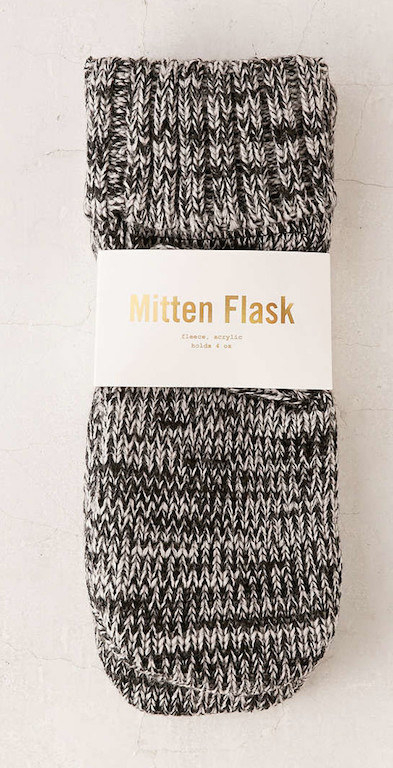 A flask that is working undercover as a fleece-lined mitten. 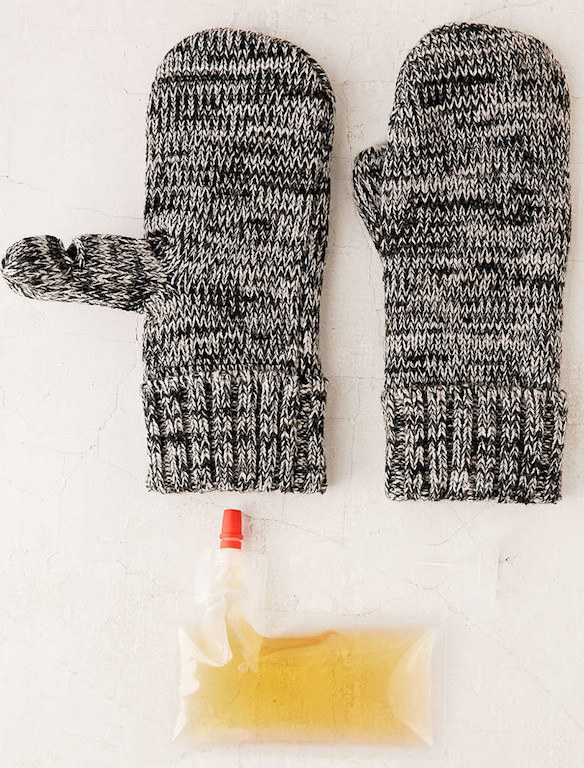 Alcohol and fleece to keep you toasty. 18. 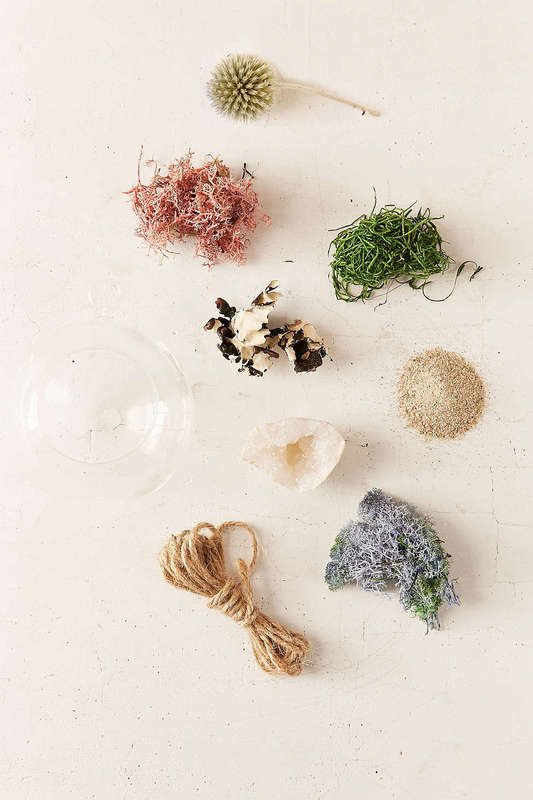 An incense kit for the person who is ready to move on from their candle obsession. 19. 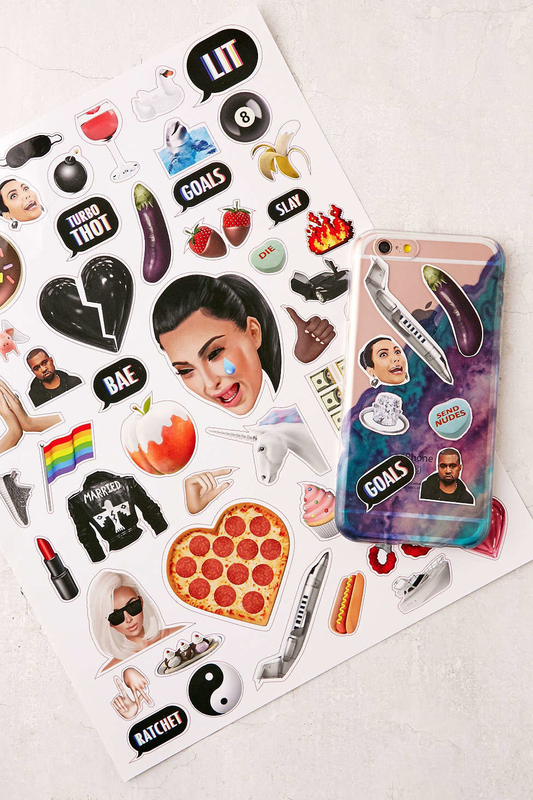 KIMOJI stickers that are good for the soul. 20. 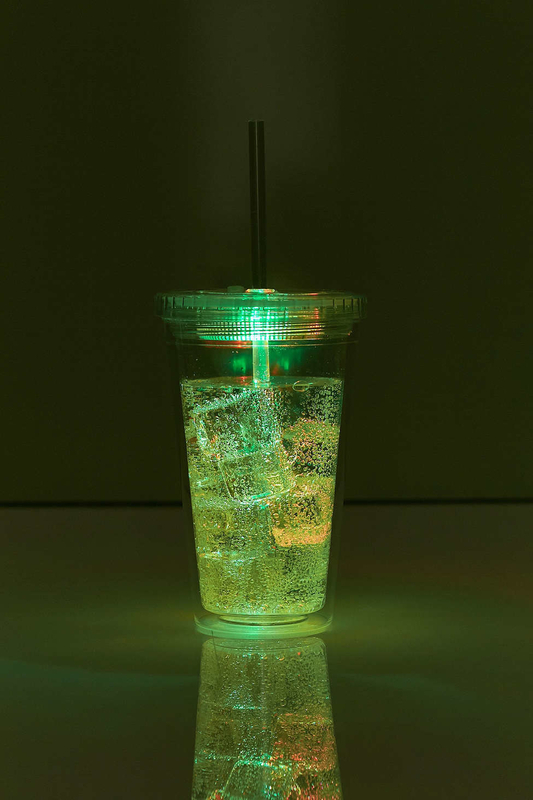 An LED sipper that will light up any party. Literally. 21. An elephant mug that lets you store your tea bag. 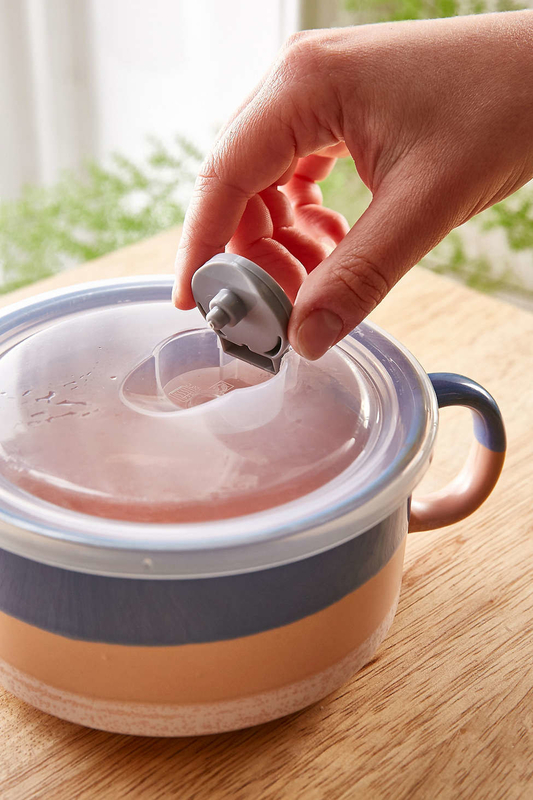 No more sopping wet napkins! 22. A metal holiday tree that you'll want to keep hanging year round. 23. 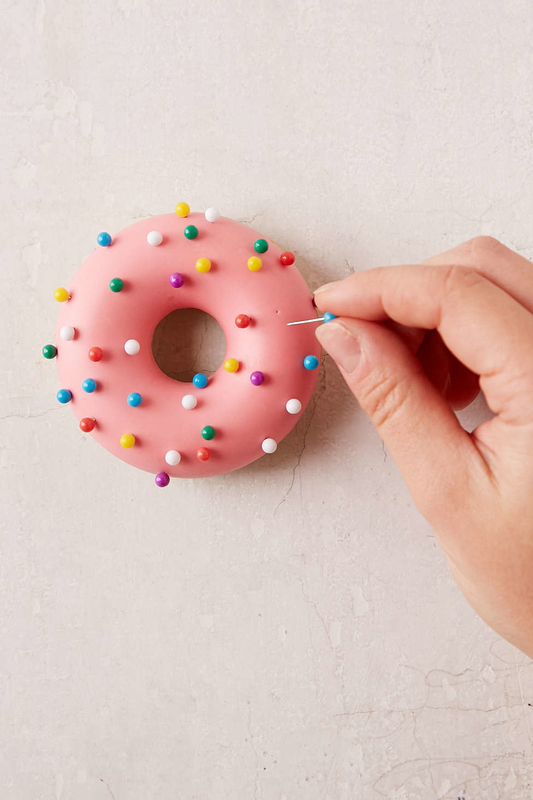 A donut pushpin holder that brings a tasty new meaning to office supplies. 24. 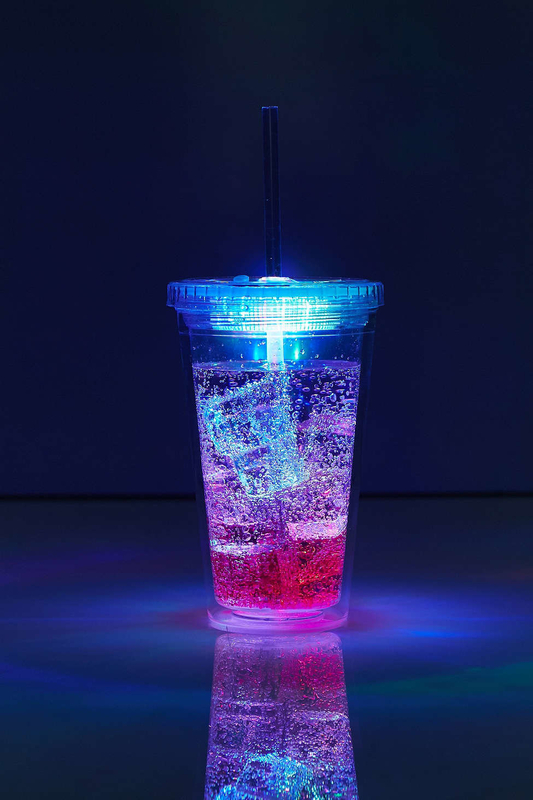 Cocktail glasses that are the perfect gift for your partner in crime, your soulmate, your BFF. 25. A virtual reality headset because any reality is better than our current one. 26. A calming herbal bath tea that's perfect for a stressful day. Made from a lavender, chamomile, calendula, and rose petal blend. 27. A brush set that comes with every makeup tool you need to apply your latest Sephora purchase. 28. 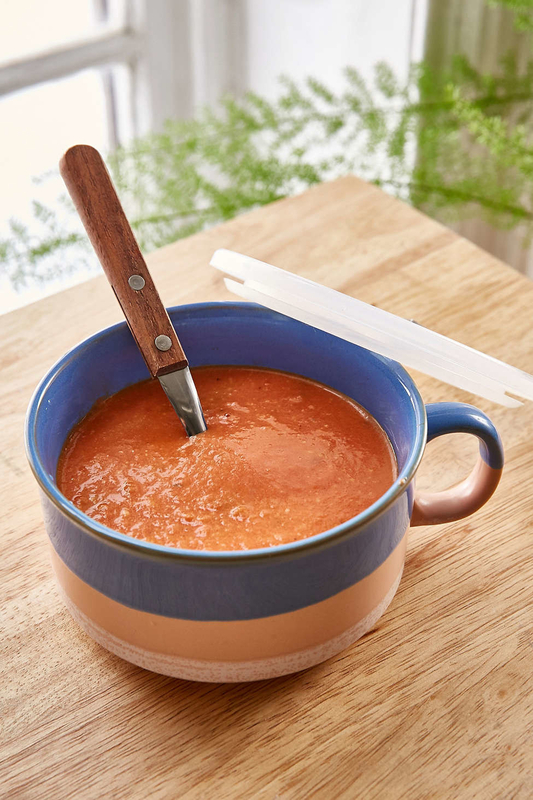 A Sriracha keychain because you never know when bland food (or conversation) will strike. 29. 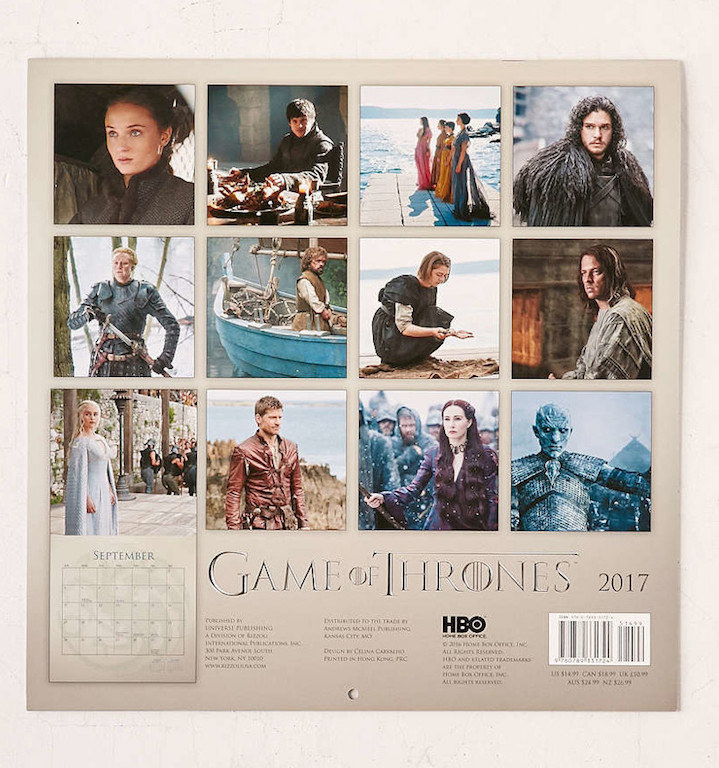 A marble journal that deserves a modeling contract because that's how pretty it is. 30. 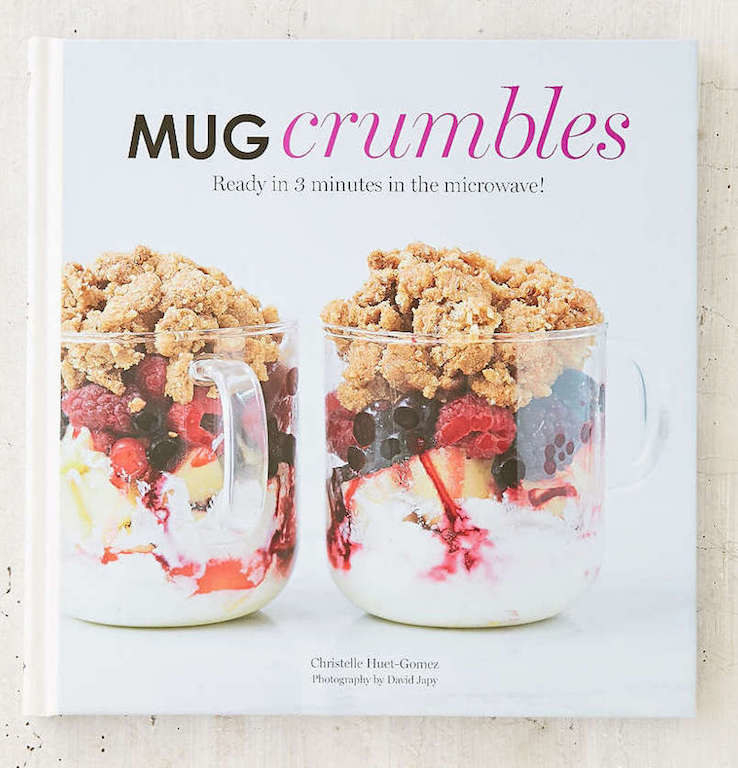 A souper mug that provides the perfect gift for any kitchen. 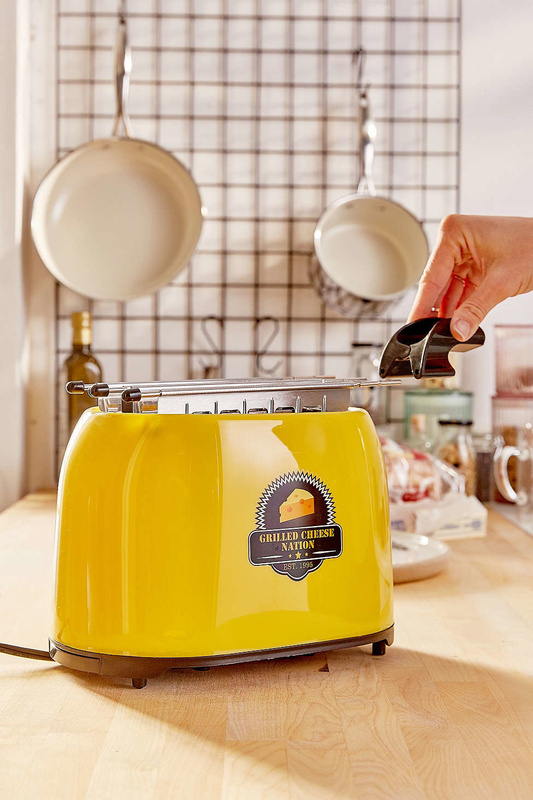 These soul nourishing mugs lets you cook, serve, and store your favorite soup. 31. A handheld Pac-Man game that will replace hours and hours of Instagram scrolling. 32. 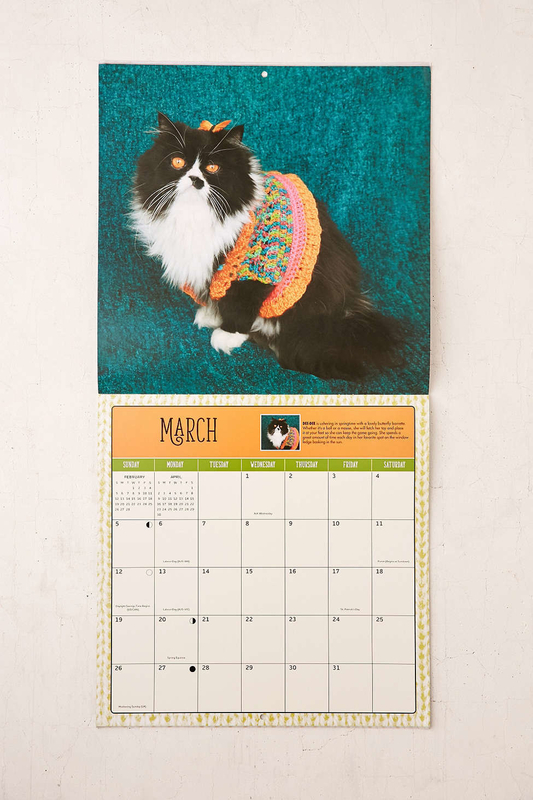 A binge-watching survival kit that includes a sofa yoga guide, coasters, socks, and more. 33. Ponytail holders that anyone with long hair will seriously appreciate. *throws away stretched out ponytail holders* I'M FREE!